It was a homecoming for Raiders Carson Palmer playing back in Cincinnati. It was not a very good one. 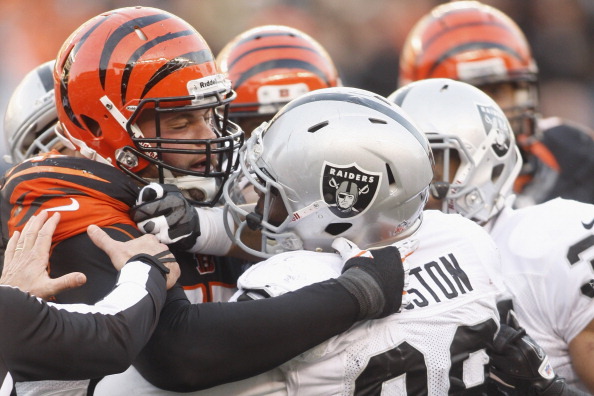 The Raiders defense continued to have a historically bad season, and the Bengals rolled past them 34-10 Sunday to drop the Raiders to 3-8 on the season. Palmer, after starting his career with the Bengals, returned home for the first time since being traded by the Bengals to Oakland last season. He was beat up all day long by his former team, going 19-of-34 for 146 yards with a touchdown and an interception. The Raiders have dropped four consecutive contests for the first time since 2008. Palmer’s eventual replacement in Cincy, Andy Dalton, didn’t seem to have any issues with the Raiders defense, as he threw three touchdown passes and outperformed Palmer. “Not a lot went right, from start to finish,” Palmer said. Dalton, who replaced Palmer at quarterback a year ago following his ugly split with Cincinnati, threw for 210 yards on 16-of-30 attempts for the Bengals (6-5), who have won three straight games and are tied with the Steelers for the sixth and final playoff spot in the AFC. The red-hot Dalton has accounted for nine passing touchdowns with no interceptions during the winning stretch. BenJarvus Green-Ellis carried the ball 19 times for 129 yards and a score in the victory. “Our ability to run the football really paid dividends,” Lewis said. 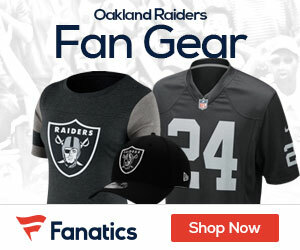 Trailing 24-0 at the break, Sebastian Janikowski nailed a 55-yard field goal to cap Oakland’s opening march of the second half and Palmer fired a 20-yard TD pass to Danarius Moore later in the third stanza to cut the deficit to 24-10. Things got interesting following a Bengals three-and-out, but Palmer fumbled on the second snap of Oakland’s next series. Outside linebacker Manny Lawson flew off the right edge and strip-sacked Palmer from behind and fellow linebacker Rey Maualuga pounced on the loose football. The miscue led to a 20-yard Mike Nugent field goal early in the fourth and Jermaine Gresham’s TD catch with 3:39 left capped the scoring. Earlier, Cincinnati jumped out to a 14-0 lead after outgaining the Raiders, 165-18, in the opening frame. Green-Ellis broke off a 49-yard run down to the one-yard line before scoring two plays later to conclude the Bengals’ opening 5-play, 58-yard trek. Following a Raiders three-and-out, Dalton found A.J. Green for a 44-yard completion and then hit Gresham for a 27-yard gain to the two before flipping a 2-yard score to Mohamed Sanu. Early in the second quarter after another Oakland three-and-out, the Bengals found the end zone again when Dalton capped a nearly six-minute, 13-play, 89- yard drive with another TD pass to Sanu, this one for five yards. Nugent missed a 48-yard field goal with 45 seconds left in the half, but quickly got another chance at a long kick. Palmer finally got the Raiders across midfield but his pass on the fifth play of the ensuing series was tipped and intercepted by Chris Crocker, who returned the pick back to the Oakland 48-yard line. Sanu hauled in an 11-yard reception before Nugent split the uprights from 55 yards away as time expired to make it 24-0. Ugly. And, the Bengal LT has bad breath. And, any chance we can get the replacement officials to do just our games? !